What makes it special: The DMC-12, most commonly referred to simply as “The DeLorean” was the only model ever produced. It was classified as a sports car originally manufactured by John DeLorean’s DeLorean Motor Company (or DMC ) for the American market from 1981 to 1983. The car featured gull-wing doors and an innovative fiberglass body structure with a steel backbone chassis, along with external brushed stainless-steel body panels. 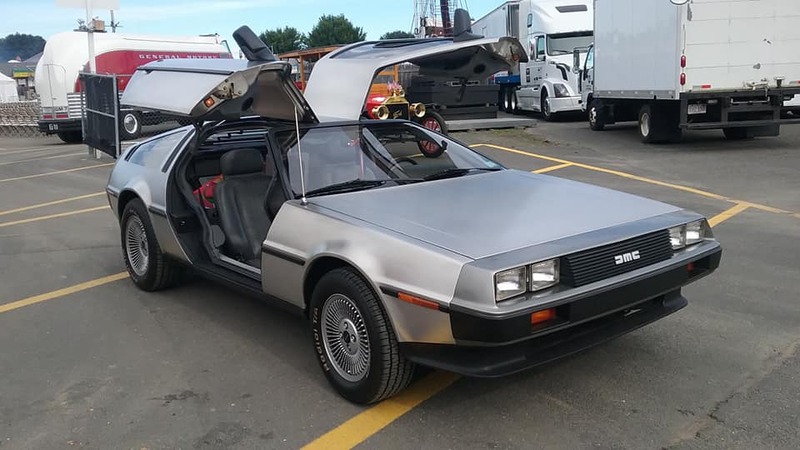 It became widely known and iconic for its appearance, and because a modified DMC-12 was immortalized as the DeLorean Time Machine in the “Back To The Future” movie franchise. What made it famous: The DMC-12 features a number of unusual construction details, including gull-wing doors, unpainted stainless-steel body panels, and a rear-mounted engine. The body design of the DMC-12 is brushed SS304 stainless steel. Except for three cars plated in 24-karat gold, all DMC-12’s left the factory uncovered by paint or clearcoat. The DMC-12 features heavy doors supported by cryogenically preset torsion bars and gas-charged struts developed by Grumman Aerospace to withstand the stresses of supporting the doors. DMC-12 doors featured small cutout windows, because full-sized windows would not be fully retractable within the short door panels. The engine is a Peugeot–Renault–Volvo or PRV, 2.85 L V6, rated at 130 hp @ 2750 rpm of torque, that was designed and built under special contract with the DeLorean Motor Company. The 5-speed manual transmission, also designed by PRV, was built at the Renault facility. Why I would want one: Although not the fastest, or considered supercar, these are a piece of automotive history, and the story about the rise and fall of the DeLorean Motor Company could easily be the subject of it’s own movie. Fun fact: On January 27, 2016, DMC in Texas announced that it planned to build about 300–325 replica 1982 DMC-12 cars, each projected to cost just under $100,000.